When it comes to weekend breakfast treats, a couple of rashers of meaty, crispy bacon is up there with the best of them. So if you’re looking to serve up the best bacon for your next Full English, buttie, or (millennial favourite) smashed avocado on toast, we’d recommend you choose our Bacon Best Buy. We asked a panel of four bacon experts to rate and assess 10 premium bacon brands that you can buy in your supermarket or convenience store. Our panel assessed the bacon in its raw condition and after it was fried up by our chef, but it was judged blind, so they had no idea what bacon was from which brand. 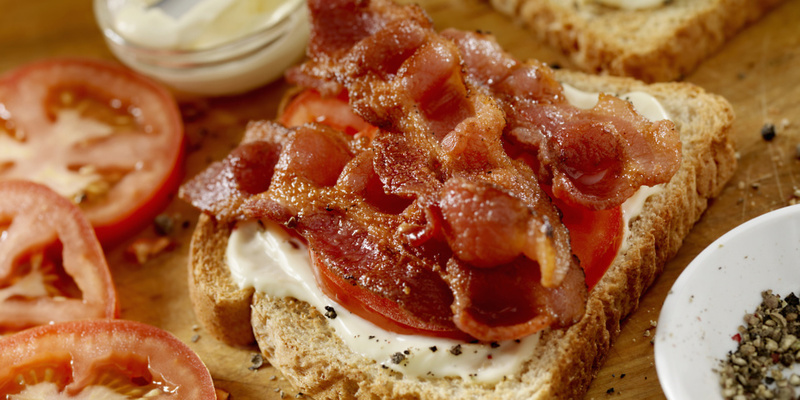 Three bacon brands were deemed tasty enough to gain our Which? Best Buy accolade. Discover which brands were picked as a Best Buy bacon. The panel of judges compared and judged the bacon based on both flavour and appearance (the amount of fat on each rasher, the thickness of the slice and how much it shrank). Some of the bacon had a tendency to shrink a lot, while others managed to hold their shape and size. 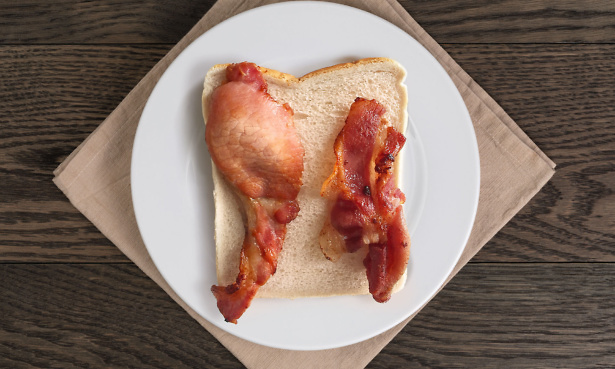 This could impact on how many rashers you need to cover the bread in your bacon sarnie, and could end up costing you more if you’re using three slices instead of two. Take a look at how two different brands compare when laid out on a slice of bread. Our judges agreed that while frying and grilling bacon were both good ways to cook bacon, we followed the suggestion of one our panel members, who said the best way to cook bacon is in the oven on a low heat (around 130°C) for 30 minutes. Why does bacon taste and smell so good? ‘The aroma of cooking bacon cues the expectation of the flavour many of us love so much. The chemical reactions behind the development of this aroma are very complex but can be partly explained by that fact that as we cook bacon, fat in the meat begins to melt, and amino acids and sugars interact in a process called the Maillard reaction. ‘This releases compounds associated with browning meat. Ingredients added during curing also contribute and are part of what defines the final characteristic odour and flavour of cooked bacon. *According to market research company NPD Crest in March 2017.